Découvrez notre ligne complete de tests de dépistage de drogues. Nous proposons divers accessoires pour améliorer les caractéristiques de votre ethylotest, entretenir votre appareil et prolonger sa durée de vie. Cliquez sur un accessoire sur la gauche pour en savoir plus. © 1996 - 2015 Alcohol Countermeasure Systems (International), Inc. ACS, ALCOHOL COUNTERMEASURE SYSTEMS, ALCOCHECK, ALCOSCAN, ALCOLAB, ALCOLOCK, ALCOSCREEN, ALCOSIM, ALERT, DISCOVER, DRIVESAFE, REVEAL, SAF’IR, VISION,, and the "Molly" are trademarks of Alcohol Countermeasure Systems (International) Inc. and are used under license. ALCOLOCK, is the trading style of Alcohol Countermeasure Systems, Inc. The company, product and service names used in this web site are for identification purposes only. All trademarks and registered trademarks are the property of their respective owners. 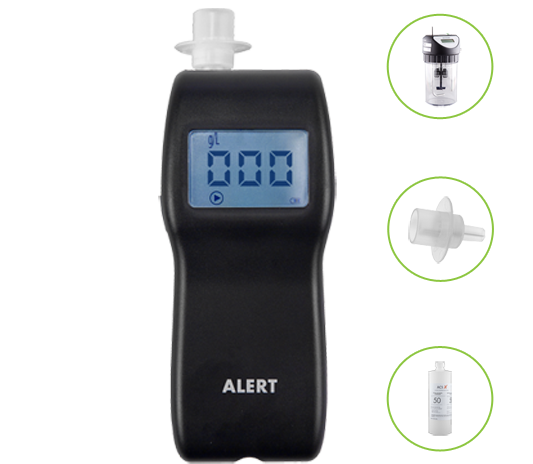 ALCOSENSOR IV, RBT and INTOX EC/IR are registered trademarks of Intoximeters, Inc. in the United States and in other countries. Alcohol Countermeasure Systems, Inc. is not affiliated with Intoximeters, Inc. INTOXILYZER is a registered trademark of CMI Inc. in the United States and in other countries. Alcohol Countermeasure Systems, Inc. is not affiliated with CMI Inc. ALCOTEST is a registered trademark of Drägerwerk AG & Co. in the United States and in other countries. Alcohol Countermeasure Systems, Inc. is not affiliated with Drägerwerk AG & Co. SS1-1000 and SS1-20/20 are registered trademarks of Smart Start, Inc. in the United States and in other countries. Alcohol Countermeasure Systems, Inc. is not affiliated with Smart Start, Inc. FC100 is a registered trademarks of LifeSafer in the United States and in other countries. Alcohol Countermeasure Systems, Inc. is not affiliated with LifeSafer. QUICTEST is a registered trademarks of Monitech Inc. in the United States and in other countries. Alcohol Countermeasure Systems, Inc. is not affiliated with Monitech Inc. All other trademarks or registered trademarks are the property of their respective owners.